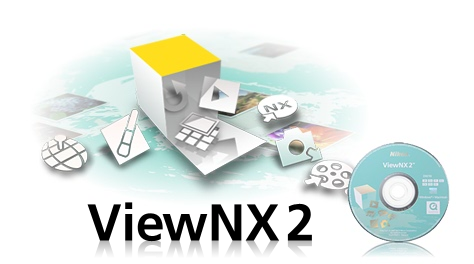 Today Nikon released new versions of ViewNX (v2.3.0) and Wireless Transmitter Utility (1.3.0). Some of the ViewNX changes are added support for Nikon D800, D4 and 64-bit support. Support for the D800 and D800E has been added. Save and Save As… items have been added to the File menu. Original image files (original format, size, resolution, etc.) can now be sent as e-mail attachments from ViewNX 2 using the Email function. A Margins function has been added to Index Print settings in the Print dialog. ViewNX 2 and the Picture Control Utility now function as native 64-bit applications under 64-bit versions of Windows 7 and Windows Vista. When the decimal symbol used by the OS was set to anything other than a period (.) or comma (,) from the Regional and Language Options in the operating system’s Control Panel, position information was not correctly displayed. This issue has been resolved. An issue that prevented editing of information in the Metadata palette for images saved to Windows shared folders has been resolved. An issue that prevented smooth playback of Motion Snapshot files with some systems has been resolved. ViewNX 2, the Picture Control Utility, and Nikon Transfer 2 now function as native 64-bit applications under Mac OS X versions 10.6 and 10.7. The name of the software has been changed from WT-4 Setup Utility to Wireless Transmitter Utility. The icon used by the software has been changed. Support for the Wireless Transmitter WT-5 has been added. Support for the D4 has been added. Camera network profiles can now be saved on the computer. In addition, network profiles (settings files) saved to the computer can be loaded to a camera using the Load settings file option. However, Print mode for WT-4 cannot be used. Support for Mac OS X version 10.4 has been eliminated.